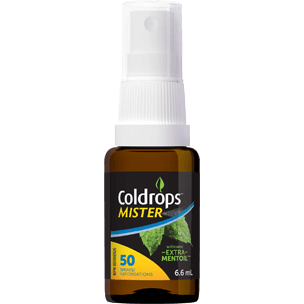 Coldrops® is a unique formulation called Mentoil®: our blend of menthol and fractionated coconut oil. These two naturally-sourced ingredients give a fresh and cooling sensation. 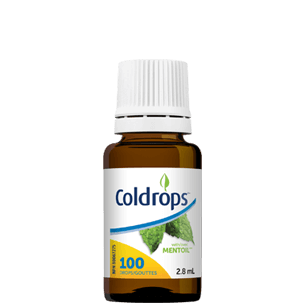 As an alternative to candy-like cough lozenges, Coldrops® provides temporary cold symptom relief in just one drop. I am vegetarian/vegan. Can I take Coldrops®? Is Coldrops® recommended for children? Coldrops® is intended for adults. How often can I take Coldrops®? What is the recommended dose?? For relief of cough, sore throat, and nasal congestion, simply take and hold one drop in the mouth for a few minutes, repeat as required. Coldrops® is exclusively available online. To purchase Coldrops® online directly from us, click here!